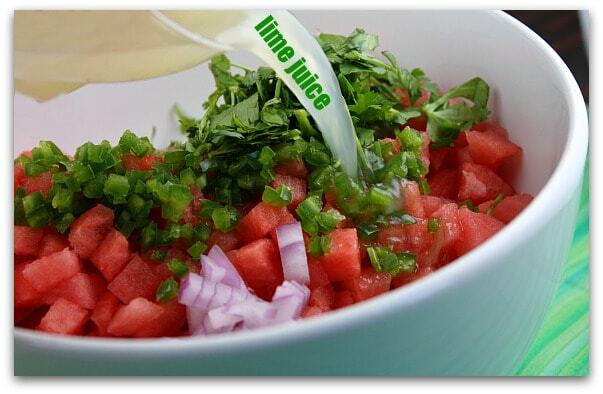 Use it as a refreshing change from “regular old” Mexican salsa. 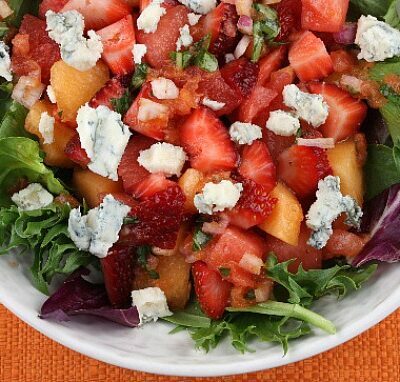 Think of this as a fruity salsa with a tiny bit of spice from the jalapeno. I cut jicama thinly and served jicama and tortilla chips for dunking. It would also be good as a topping for fish… and I’m thinking chicken or pork tacos too. 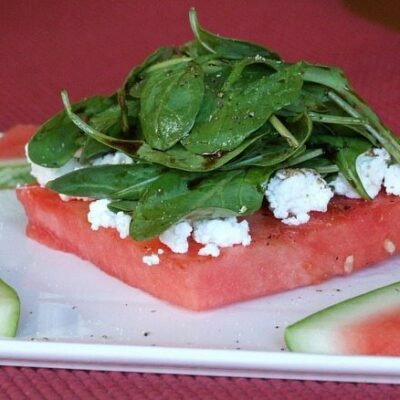 I have a watermelon sitting on the counter waiting to be eaten… this sounds like the perfect idea. Although I am not a big fan of cilantro. I plan on serving watermelon this weekend. Here’s hoping there is some leftover! 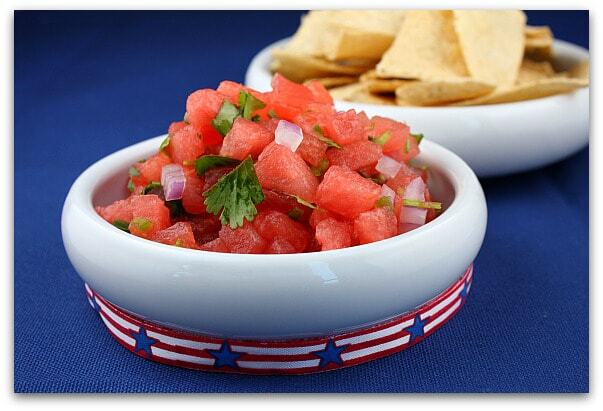 I’ve always wanted to make a watermelon salsa and can’t imagine why I haven’t. This looks wonderful, Lori. Copying the recipe right now! 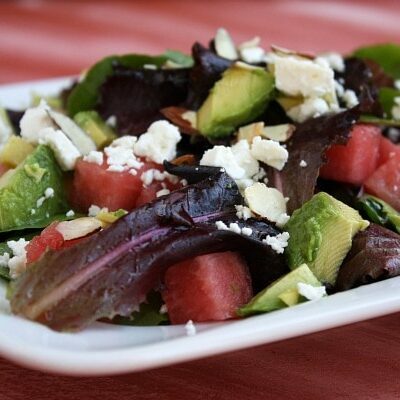 You really have a nick to make healthy look so super delicious!! Wow! 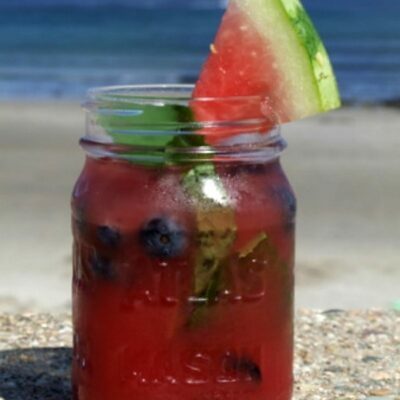 I never would have thought to do this, but it sounds like the perfect idea for one of these super hot summer days 🙂 I also love the idea of watermelon gazpacho! 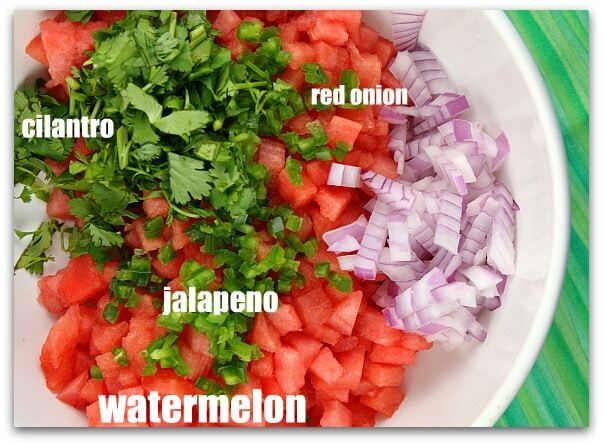 Never thought of all of these; I will be trying out the watermelon salsa this evening. Sounds delicious – I’ll have to try it out!